David Cameron’s three-day visit to China for ’business’ purposes faces new hurdles from Germany as the Prime Minister tries to woo Chinese investment into the UK. Frankfurt-based Deutsche Börse, a leading equities and derivatives exchange, has signed a partnership with one of China’s largest state-owned banks, Bank of China. The partnership signals a new wave of business between Europe and China, with emphasis on offshore renminbi (RMB) trading. Through the partnership, both firms will extend business and trade. Frankfurt aims to lure trading in the offshore Chinese yuan, a position currently held by London. In addition, Bank of China will enhance its European operations and gain access to domestic markets. “We are very pleased about our broad strategic partnership with Bank of China. Our agreement marks an important step towards bringing the European and Chinese market closer together. We look forward to contributing our group-wide expertise into this partnership and develop high quality services and products across the value chain in the increasingly global markets,” said Reto Francioni, CEO of Deutsche Börse AG, in a statement. A delegation of over 100 UK business leaders are on the economic tour of the world’s second largest economy. 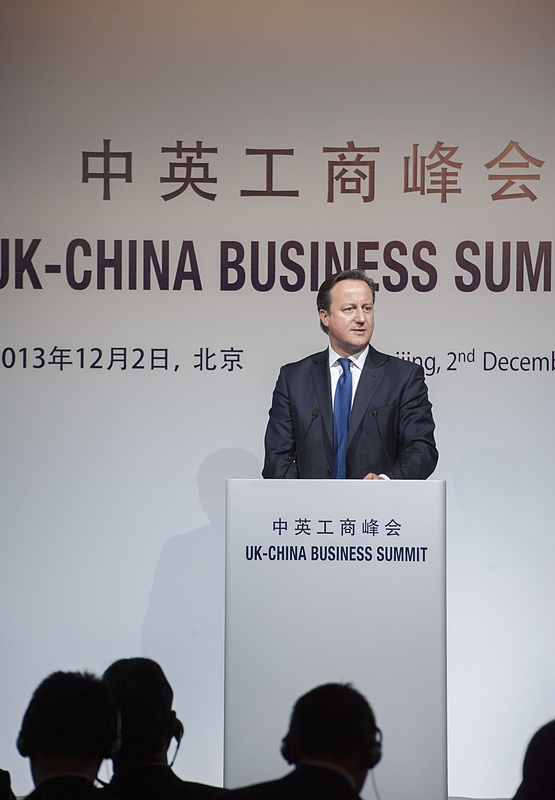 The UK has been a prime destination for Chinese investment and trading of Chinese financial instruments. According to a report published by the City of London in 2012 (government body), spot RMB volumes in the UK were between $1.5 billion and $2 billion a day. The Chinese yuan joined the top ten list of the world’s most liquid currencies according to the recent BIS survey, this having led to a spree of brokers in the margin FX arena, including the currency pair on their platforms, in an attempt to attract the growing number of traders interested in the yuan. In a press conference held on Monday in China, UK and Chinese officials spoke about Chinese investment in the UK’s high-speed rail project, estimated to be worth £50 billion. In Asia, Singapore and Hong Kong have been battling against preferred status for offshore RMB trading. Both countries offer currency futures, with the Singapore Exchange being the latest to offer FX RMB futures on November 11th. In October, Luxembourg welcomed China Construction Bank; the Chinese bank established its European headquarters. Luxembourg has been building its Chinese offering; it currently holds the largest amount of offshore RMB loans totaling 2 billion yuan (according to a report by PwC).